It will make you smile! 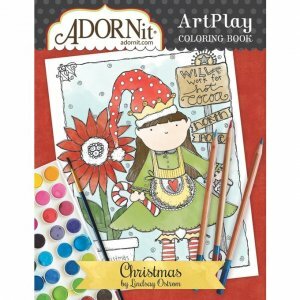 This adorable book is 16 pages, printed on watercolor paper, contains over 30 different pieces of art for you to color with markers, color pencils, crayons or water colors. Art sizes are 8x10, 5x7, 4x6, and 2x3.